With Father’s day around the corner, everyone of you out there might be planning something special for your dad; after all he has always been your pillar of support and someone you have looked upon at life. He indeed is your role model. The one person who is your ultimate knight in shining armour and knows exactly how to set things right in seconds. So, why don’t you treat your super dad with something that’s as super as him this Father’s day? Sure, it just isn’t about that one day when you need to show your love to him. In fact, fatherhood should be celebrated every single day. However, making this day a little more special for him is only going to make him all the more happier. Wondering how can you do that? Running out of ideas for making your special man feel special on Father’s day? Well, why don’t you ditch everything cliche and do something unconventional this time? Enough of giving him fancy gifts and treats in luxury restaurant. Everyone does that. So, try being different and let your father feel gratified with all the efforts you put in to make him feel happy. Already smiling? 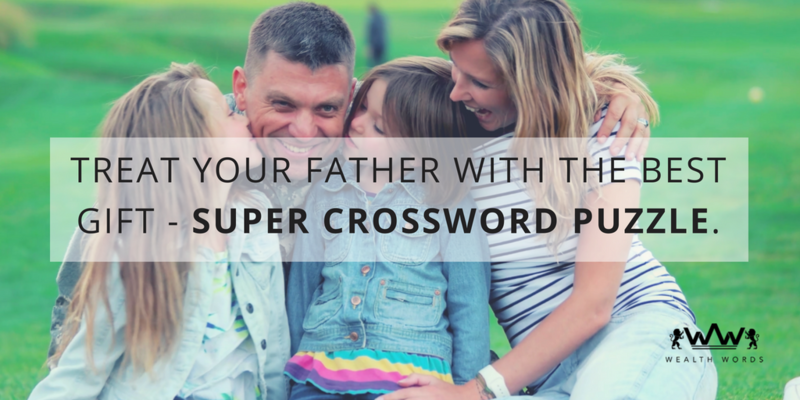 Well, keep up that smile right there because you can make this Father’s day the most memorable day of your father’s life by indulging in a simple game of crosswords or should I say super crossword puzzle (it is literally super in every sense, you know). Yes, this is the unconventional approach I was talking about. You, your dad and a word game to rekindle your relationship – that’s all you need to celebrate Father’s day to the fullest this time. Yes, it’s as simple as that. Initiated in April’ 2017, the word game I am talking about is Wealth Words, an online crossword game that has taken the world of words by storm in a short span of a year. Curious how can it serve as a lovely gift for your father? Well, doesn’t its name says it all? Wealth and Words – it’s a savage combo after all. Yes, this online crossword is a real money earning game too where deciphering the puzzles right can land you amidst cash prizes as high as $1600. Now, that’s huge! Hence, introduce this online crossword to your dad right now and see how it becomes his favorite instantly. In fact, join him in this crossword bandwagon and see, how it strengthens your bond like never before as you both work as a team and grasp the clues that come your way while getting all its puzzles right. Trust me, the feeling of triumph you guys will get induced with once you win the cash prizes is something that would remain un-matchable. And, that smile on your father’s face – that would be beyond any happiness you will ever see, wouldn’t it? I can feel you already. And, if you are thinking winning big here requires any rocket science, hold on. Because, that certainly isn’t the case here. All you need to do is register at its website, purchase tokens with $2 each for playing and you are good to go and win it all. Just pay a little attention on the clues that come your way while submitting your answers in an active time frame of an hour. 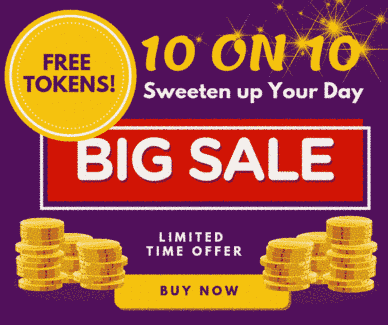 Yes, there’s a fixed time period for this word game to give everyone a fair chance to play and win the cash prizes distributed in the form of divisions and active games. While the active games can give you cash prizes ranging anywhere between $50 and $1600, the divisional prizes in the form of division 1 and 2 also have bigger and better pool of cash prizes. Just answer all of its 20 puzzles correctly to win the division 1 prizes. Moreover, as far as division 2 prizes are concerned, it can be won by answering the second highest correct puzzles. Now, isn’t that pretty simple? Now, having said it all, you know how to surprise your dad this Father’s day, don’t you? All thanks to Wealth Words, right? Well, you can keep thinking about this crossword puzzle online later. For now, take your dad to this roller coaster ride of words and let him unleash his inner wordsmith to the core. He surely is going to love every bit of it. Sending much luck and love to all the dads out there. You are and will always be our hero. And, yes, a very happy father’s day, fellas. Happy puzzling!